This video provides a comprehensive introduction to the role of coral reefs, the physiology of corals, and the impacts of ocean warming and acidification on coral survival. 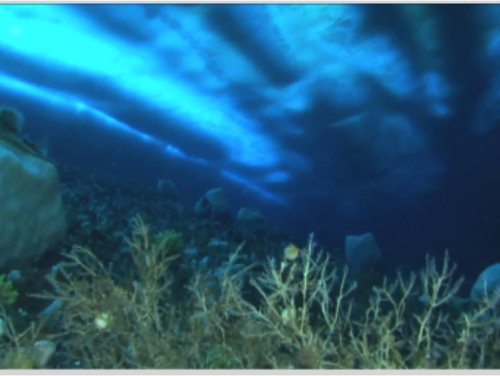 It highlights experts from the Bermuda Institute of Ocean Sciences and the University of Miami. This simulation allows students to explore the change in sea surface pH levels with increasing CO2 levels. 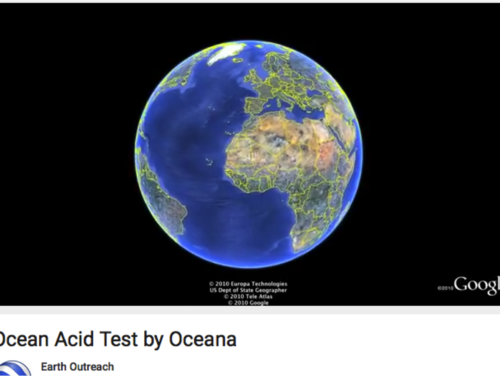 This short video is an excerpt from the longer video Acid Test: The Global Challenge of Ocean Acidification, produced by the National Resources Defense Council (NRDC). 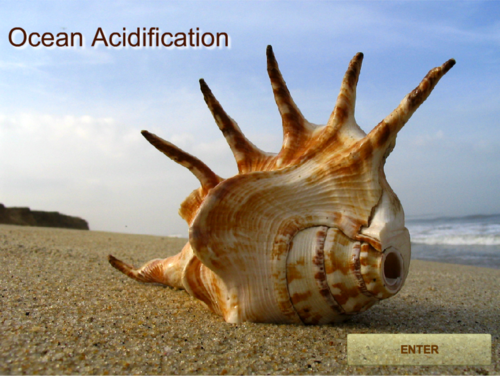 This short version summarizes the science of ocean acidification as well as the social implications. 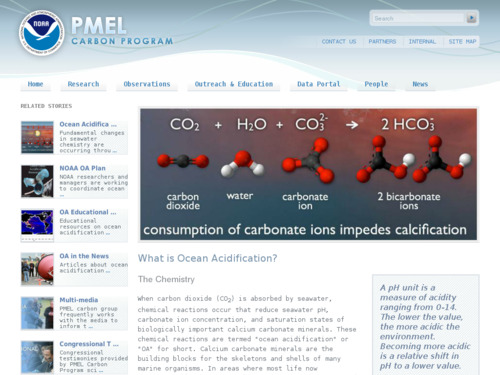 This applet is an ocean acidification grapher that allows user to plot changes in atmospheric C02 against ocean pH, from 1988 to 2009, in the central North Pacific. 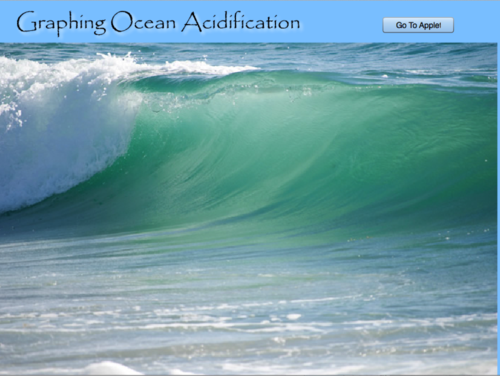 In this activity, students conduct a short hands-on demonstration that simulates ocean acidification resulting from excess atmospheric carbon dioxide and discuss potential implications of increases in ocean temperatures and acidification due to climate change. 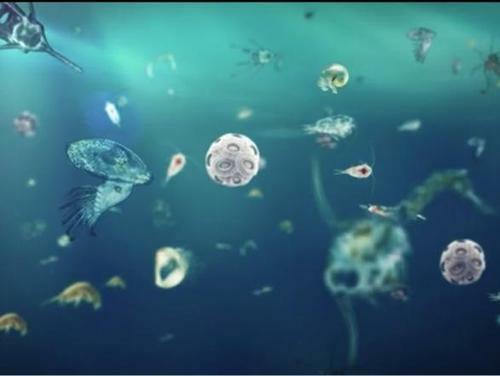 This video addresses acidification of the ocean and the ecological and economic implications of the resulting pH change on marine life. It includes information about how ocean acidification resulting from increased absorption of CO2 from the atmosphere is affecting ocean species such as sea urchins and oysters. Scientists from the University of California at Santa Barbara discuss their experiments with sea creatures in acidic sea water. 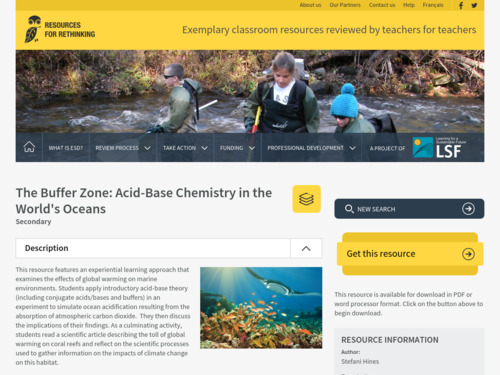 There is an associated lesson plan and classroom activity that has students test the effects of CO2 on water pH. This narrated slide show gives a brief overview of coral biology and how coral reefs are in danger from pollution, ocean temperature change, ocean acidification, and climate change. In addition, scientists discuss how taking cores from corals yields information on past changes in ocean temperature. This static image from NOAA's Pacific Marine Environmental Laboratory Carbon Program offers a visually compelling and scientifically sound image of the sea water carbonate chemistry process that leads to ocean acidification and impedes calcification. 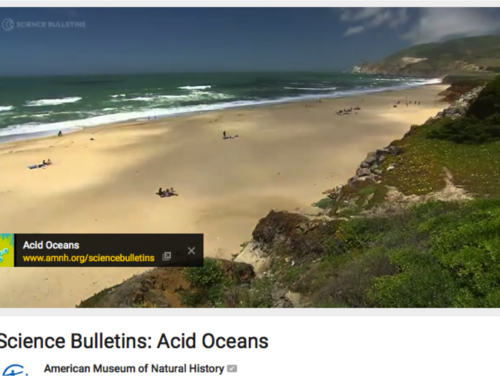 A short video on the causes of ocean acidification and its effects on marine ecosystems.